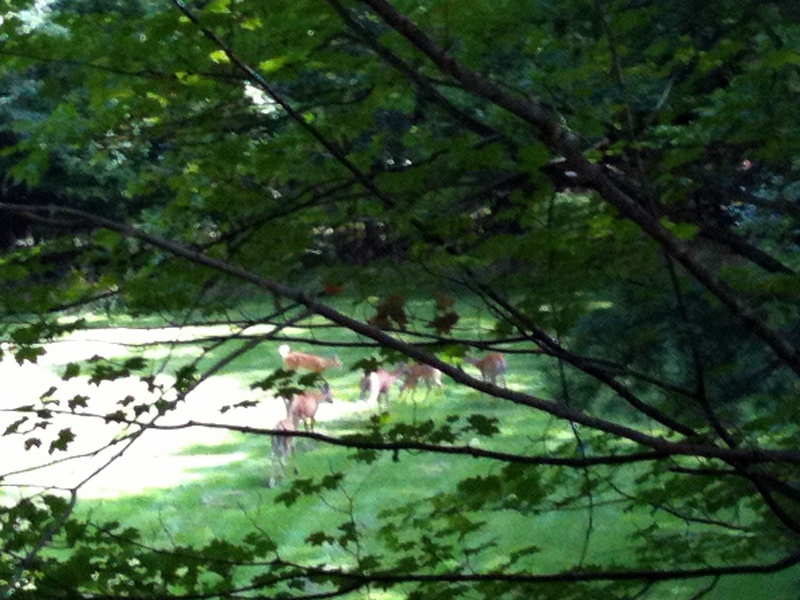 My one-day record on my recent walk in the Dundas Valley Conservation Area: Five sightings of deer, with a total number of 18! I was ecstatic because I could capture this family of six on my smart phone before the sound of the click sent them dashing away. The weather was more pleasant for walking these day. There was a coolness in the air while the sun was shining for my morning walks. 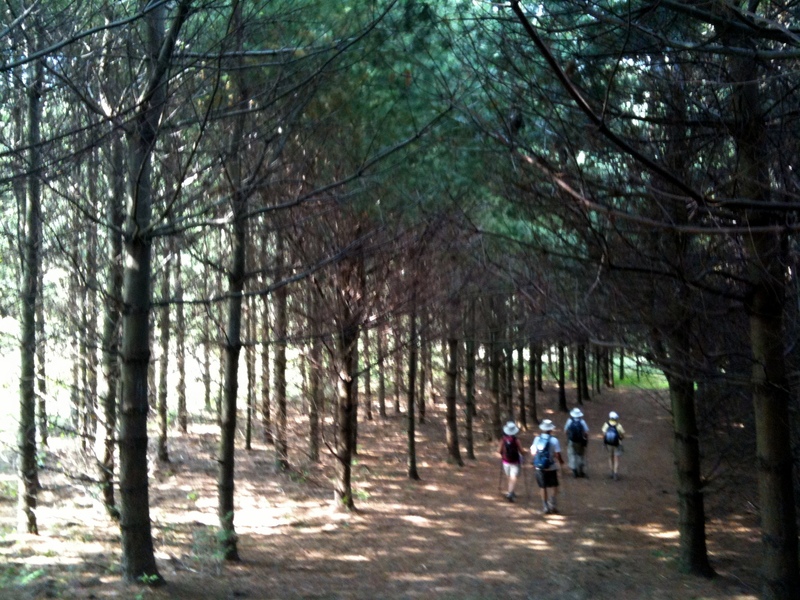 My group walk this particular day started off from Sanctuary Park , Dundas, ON and we soon found ourselves meandering along the trails of Dundas Valley. 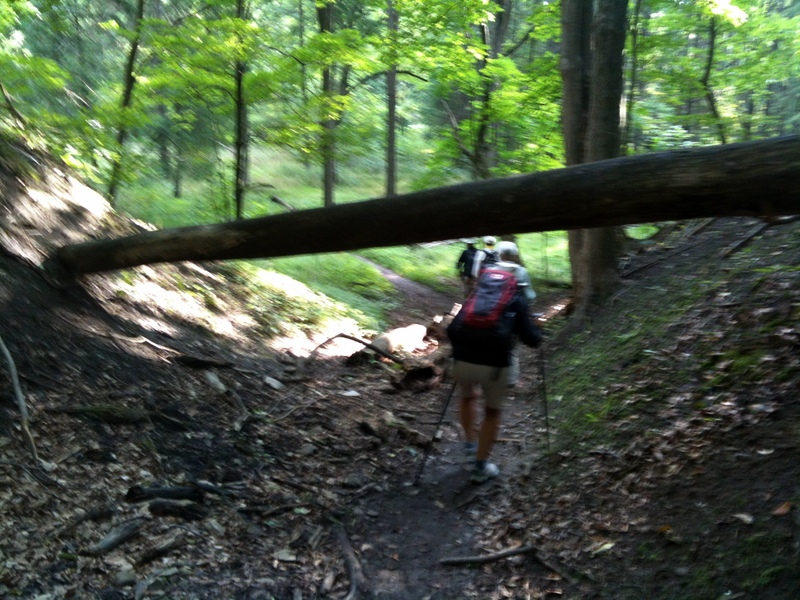 We were deep into the woods and twice, we had to lower our heads in order to follow the trail even though a tree had fallen across it. 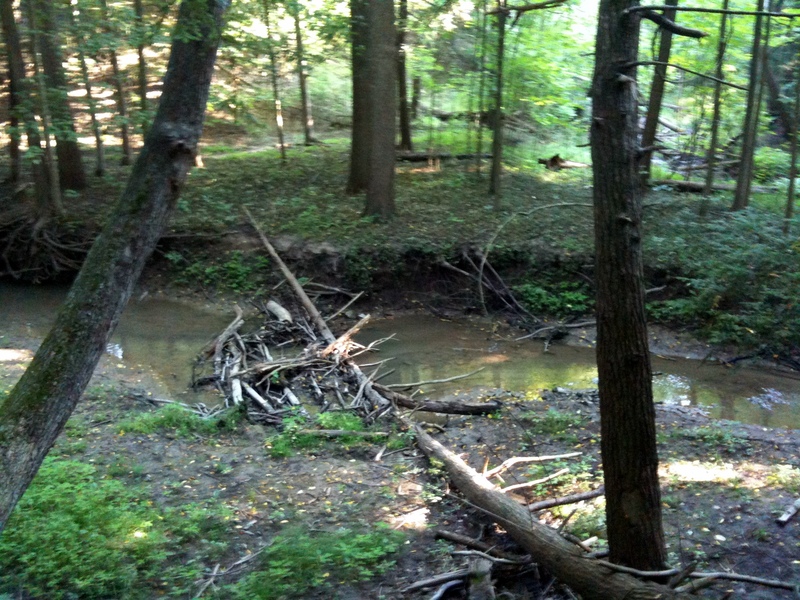 We were rewarded with nature’s blessings: the streams, the rapids, the trees and wildlife. 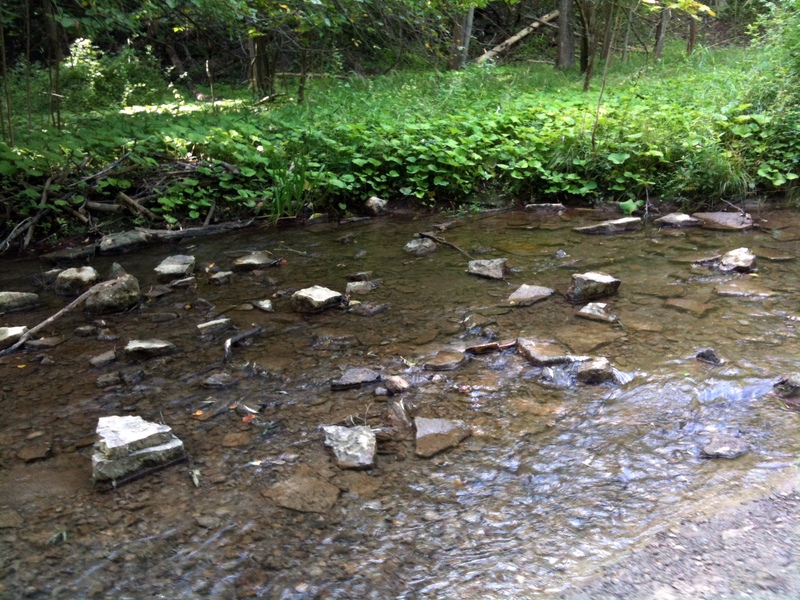 We were equipped for the rocky climb and for the change of underfoot from stones, to roots and to softer padding. 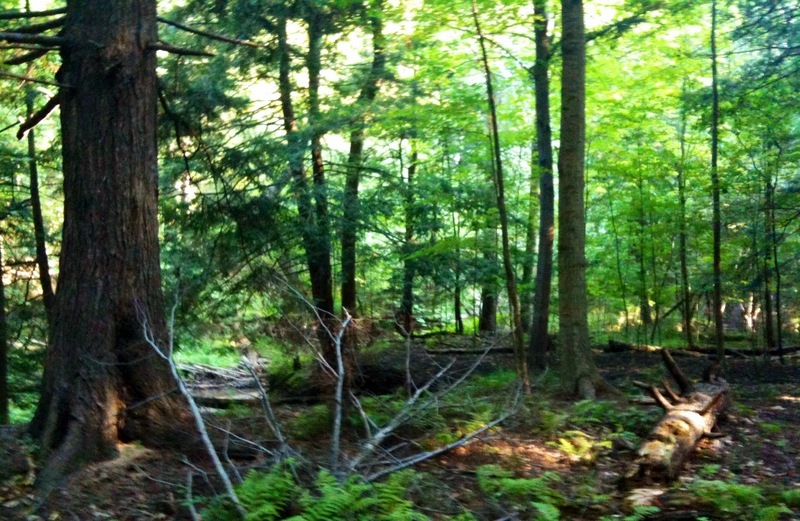 The vegetation changed suddenly from the Carolinian deciduous which is typical of this area to a rare stretch of pine. They were neatly planted in row, which was also a nice reminder of man’s contribution to preserve nature. 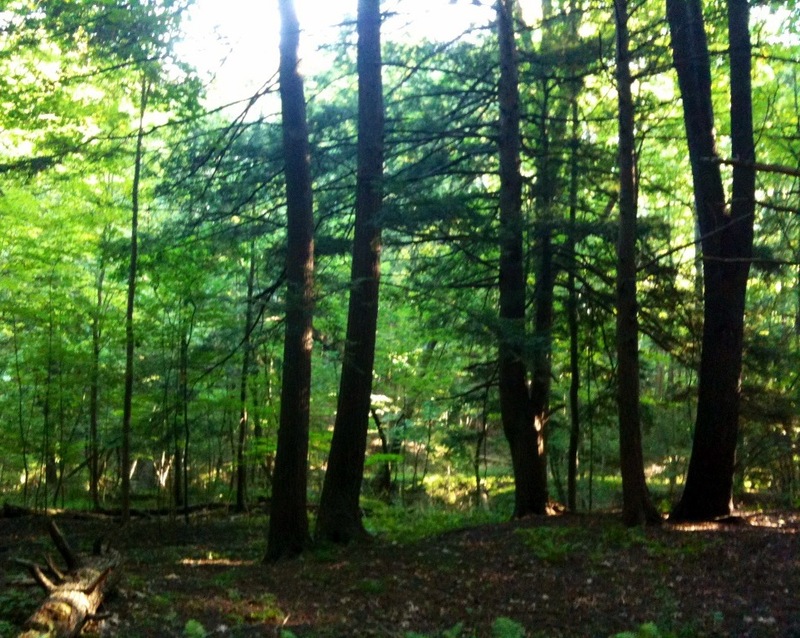 When we walked in silence and mindful of the stillness surrounding us, a rabbit, a chimpmunk and sometimes a squirrel crossed our path. Looking up the forest hill and down into the dale, there were the deer sightings of course. 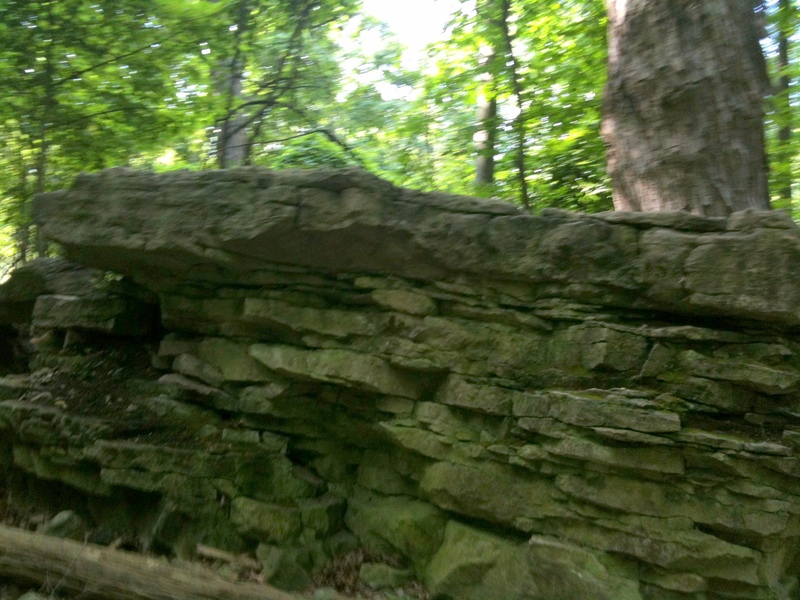 I not only became aware of what nature was offering us in the present, but I was struck by what it had left for us from the past in the form of rock formations and remains of ancient tress. 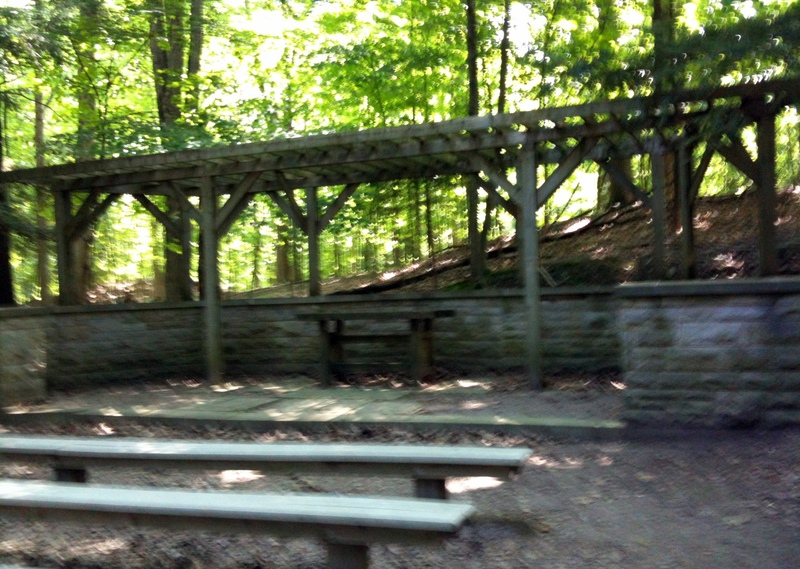 Halfway up the Monarch Trail, we reached an open air auditorium with seats and an altar. 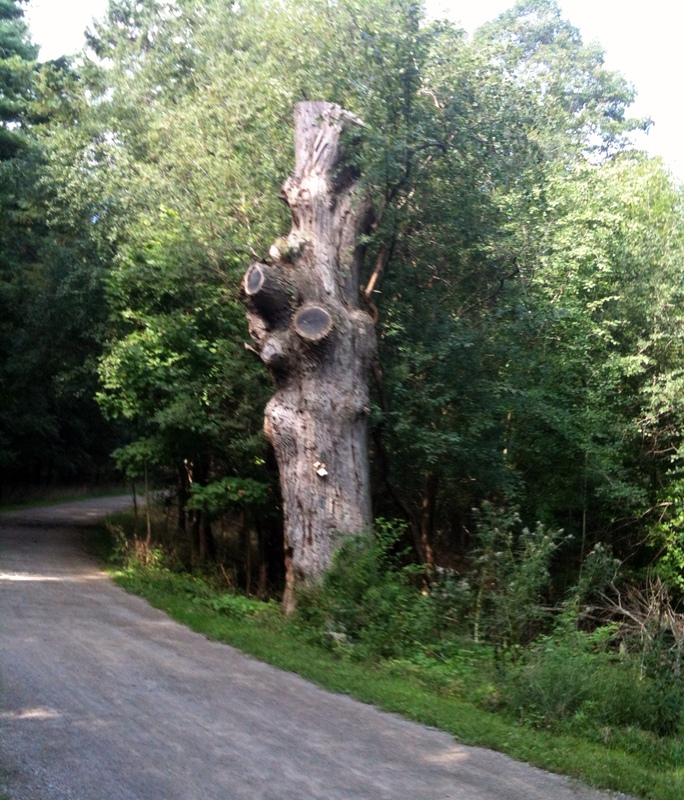 I remembered coming across a bridal party jogging along the Hamilton-Brantford Rail Trail on one of my walks. The bride was wearing a lace tennis frock , and her bridesmaids also in white tennis attire. They passed me and left me wondering where they were heading for. I think I had got my answer when I saw that altar. One question remained unanswered though: How are the relatives and guests going to get there? 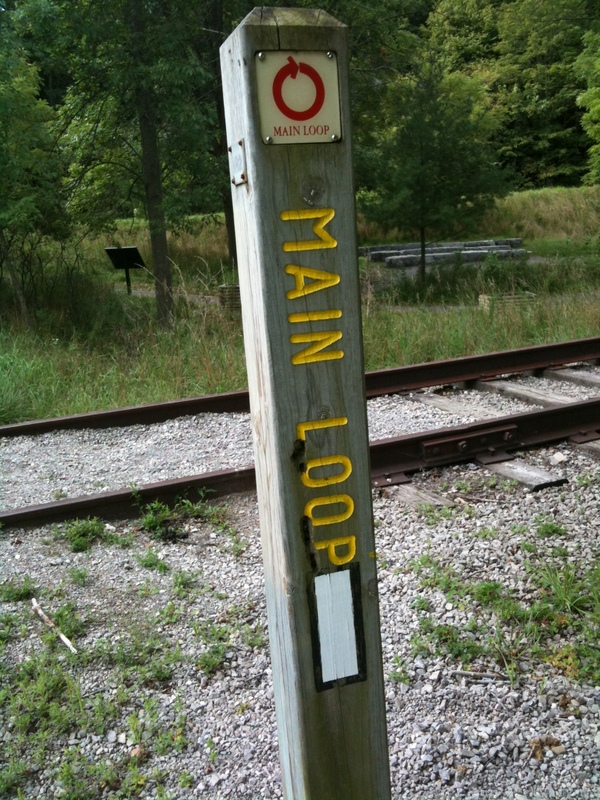 The Dundas Valley Conservation Area has over 40 interconnected trails. 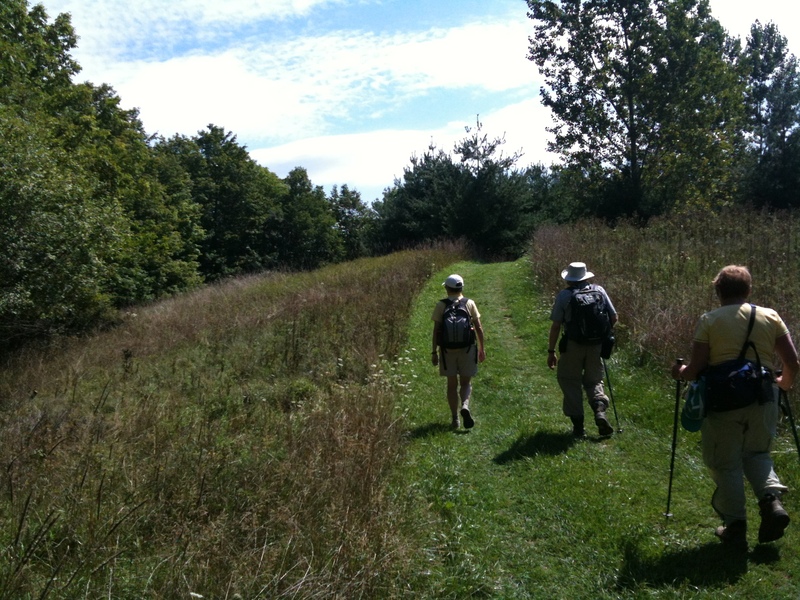 Just on this hike, we walked parts of the Spring Creek Trail, the Sawmill Trail, a considerable section of the Bruce Trail Main Loop and the Monarch Trail, which took us back to the Rail Trail and to where we started at Sanctuary Park. 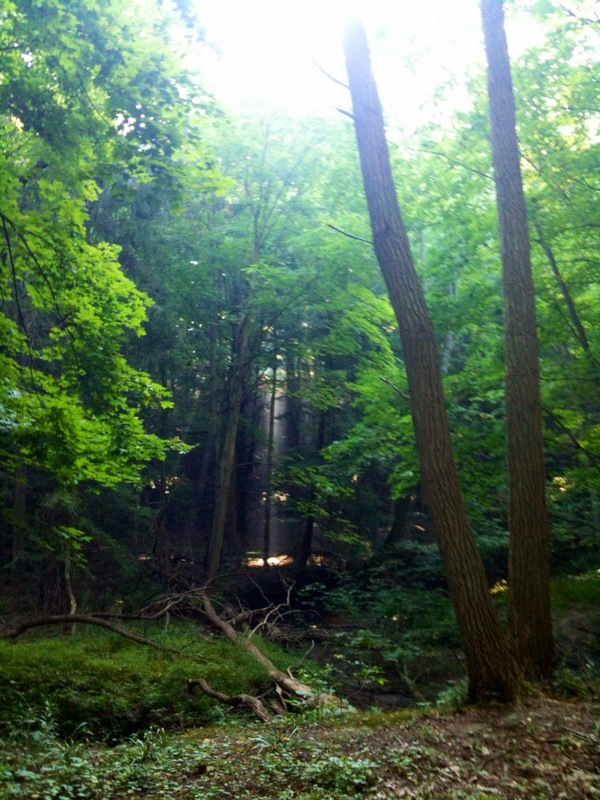 This entry was posted in Hiking, Nature, Trails and tagged Bruce Trail, Dundas Valley Conservation Area, Monarch Trail, Sawmill Trail, Spring Creek Trail on August 30, 2012 by Opalla.